If you are planning to buy or sell your home, use ImRenovating.com to contact professional home inspectors in the Ottawa area. Our listed Home Inspection Professionals offer a wide range of services including pre-purchasing inspections, condo inspections and warranty assessments. 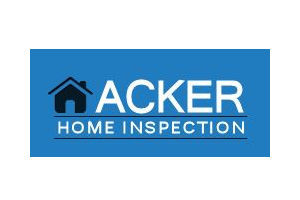 Hiring a home inspector is an invaluable tool for a home seller or home buyer before making any large Real Estate decision. Home inspections can help home buyers or new home purchasers find problems to determine the true value of a home, while also providing home sellers an excellent way to increase the value of their property before speaking with a Realtor. Our Ottawa area home inspectors provide you with a clear, easy-to-understand report that includes recommended improvements with photos and approximate costs, so you can make an informed decision. Even new homes should have a Tarion New Home Warranty Inspection done to ensure the New Home Builder or Contractor has met their Home Warranty obligations. Most home Inspectors also carry out Swimming Pools Inspections, Fireplace Inspections including W.E.T.T. Inspections, as well as Water Sampling, Septic Tank Inspections, and ultimately mould and indoor air quality inspections. Buying a new home is an exciting prospect, but it may seem like an endless series of steps and decisions are in your way. When you find the perfect house that is right for you and your family, you need to find a Home Inspector to educate yourself about the condition and reliability of your new purchase. This is a routine and a wise decision, even when buying a newly constructed home from a New Home Construction Contractor or a freshly renovated commercial building. Don’t let the stress of buying or selling a house weigh you down, the additional peace of mind that a professional home inspection service offers is often required by your bank or lending institution prior to your closing date. Our local Ottawa area Home Inspectors and home inspection services offer a variety of inspection options, but none are more popular than a pre-purchase home Inspection. This type of thorough inspection will give you all the information you need to make a well informed buying decision about one of the most important purchases you will ever make. It provides an excellent opportunity to understand all of the conditions of the house you are considering and the power to ask direct questions with one of our listed home inspectors. They will give you an impartial and unbiased opinion of the house and its current condition and surrounding property before you make your final decision. In many cases, our Ottawa area home inspectors and home evaluation specialists will also give you a comprehensive digital report which includes all documented photographs taken throughout the home or business inspection. Alternatively, a walk through inspection is suitable for those who are considering buying a house or commercial property but don't necessarily want the thoroughness of a full home inspection until they are prepared to make a final purchasing decision. A walk through inspection is a good preliminary choice if the house is in decent overall shape, but you require some peace of mind before opting for a full house top to bottom inspection. It is also great in situations where bidding wars are likely to take place and there isn’t sufficient time to warrant a full inspection of the premises prior to an open house to be held by Real Estate Agents and Brokers. These are instances where you may have a need to inspect multiple properties before considering an offer to purchase to land the home that suits your specific needs. Choosing walk though inspections can end up saving you hundreds of dollars over the course of finding your home. Our experienced home inspectors and home inspection services generally take 1-2 hours with a focused attention to the major construction and service details of the house, followed by a formal report to assist you in weighing the features and benefits of one house compared to another potential candidate. Home inspections are even a good idea if you’re not buying an actual house. Condo purchases are also a large investment, and should also be scrutinized the same as a new or existing home purchase and sale. 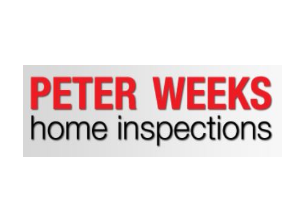 Our Ottawa area home inspectors and home inspection services specialize in condominium and townhouse inspections and are able to give you the proper advice or recommendations to you prior to making your investment. Condos often have many shared or common elements that are particular to these buildings. Things like heating and air conditioning, roofing damage, and wall integrity should all be thoroughly checked before you commit to making an investment in a property. In most cases today, all mortgaging institutions require a full and documented home inspection report before the will approve your mortgage and release the money to you and in the case of new home renovations or a new addition where you require a second mortgage, the lending requirements may hinge on having the addition inspected to ensure it meets all building codes, practices, and standards. Our Ottawa area home inspectors and home inspection services also offer chimney inspections and fireplace inspections also known as W.E.T.T. Inspections (Wood Energy Technical Training including Wood Stoves, Fireplaces, and Chimney Inspections) which has become necessary for Home Owners Insurance when using or adding new natural gas appliances or wood burning stove or new fireplaces. As home inspection services have evolved over time, new techniques and tools have become available to home inspectors who now use infrared cameras and heat detection devices to see behind wall and cavities where your naked eye cannot. 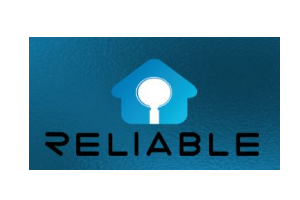 All of our listed home inspectors and home inspection services now include additional services such as septic inspections, pool and fence enclosure inspections, water sampling, mold and indoor air quality, as well as Tarion Warranty Inspections when purchasing a brand new home, condominium, or townhouse. Whether you plan to list your home on the market, and want to understand its true value, or you are making a new home purchase and need a professional opinion, the home inspectors and home inspection services found on ImRenovating.com have an inspection service just for you. Their experience, professionalism, and customer service skills are unmatched in the business. 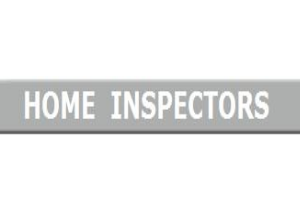 For all Top Quality Home Inspectors in The Ottawa Area, look no further than the Home Inspectors section of ImRenovating.com, The Ottawa Area's Ultimate Trade Guide!